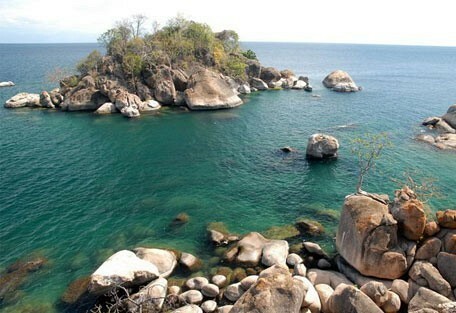 Lake Malawi is Africa's 3rd largest lake and owes its existence to the Great Rift Valley. 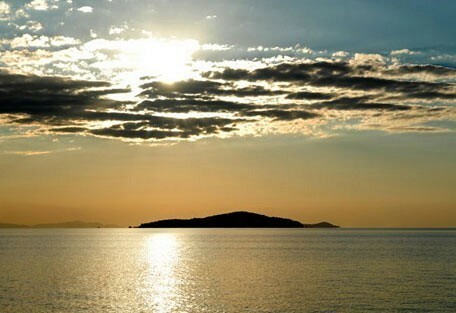 Lake Malawi offers secluded, sandy bays, remote islands, beautiful white beaches combined with the crystal clear waters. 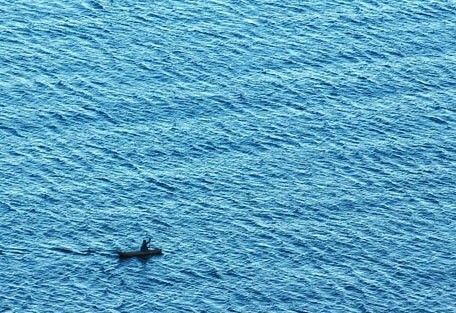 Lake Malawi is 600km in length, running along the eastern border of the country. A visit offers superb conditions for water sports and water activities, including scuba diving and snorkelling. 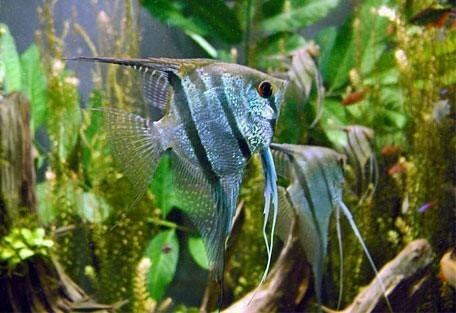 Lake Malawi is renowned for its incredible diversity of fish and contains more than any other lake on the planet. It has therefore been named a World Heritage Site. 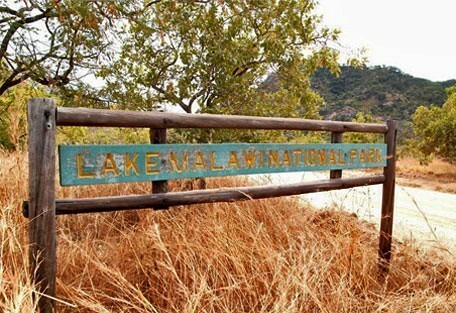 Lake Malawi National Park, situated at the southern end of the lake, is the first in the world set aside for the protection of freshwater fish. Lake Malawi has been ranked by many to offer some of the most romantic lodges in the world with its palm-fringed beaches, towering mountains and scenic fishing villages situated along the shoreline. The jewel in the crown of Malawi's tourist attractions is Lake Malawi, said to have been discovered by the missionary-explorer, Dr David Livingstone, over 150 years ago. 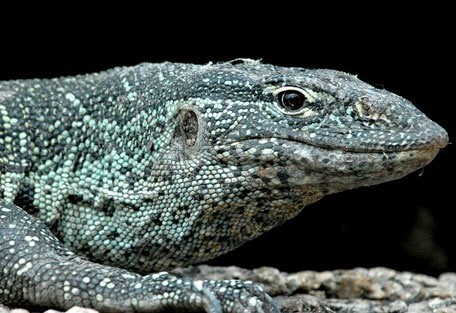 It is now a World Heritage Site protecting a plethora of endemic freshwater fish. The northern section of this 650km-long lake is extraordinarily deep at about 700 m, plunging well below sea level. This is a mind-boggling reflection of the enormity of the natural faulting of the Great Rift Valley, which is the origin of the Lake. Lake Malawi is a top destination in the world for water activities, such as kayaking, sailing, snorkelling, scuba diving and water-skiing, which are all offered at various lodges dotted along the shores of this freshwater paradise. 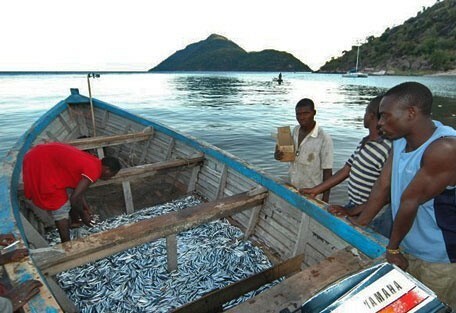 About one quarter of Lake Malawi belongs to neighbouring Mozambique (where it is called Lake Nyasa). This portion of the lake includes the only two inhabited islets on the lake: Chizumulu and Likoma. Pumulani Lodge is the ideal holiday destination and offers something for everyone; whether guests are looking for a tranquil retreat where they can simply relax and enjoy the remarkable natural scenery or whether they prefer an active holiday. Kaya Mawa Lodge on Lake Malawi has been ranked as one of the most romantic destinations on the planet; with its crystal clear waters, remarkable natural surroundings and cosy thatch cottages it offers the ideal setting for a perfect honeymoon or a private retreat. 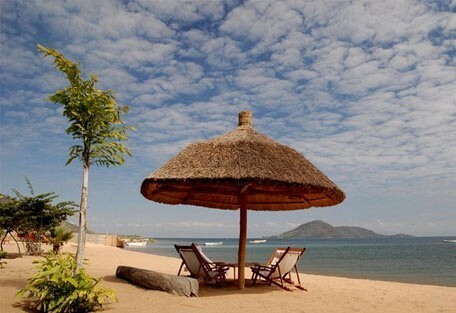 Close to the town of Mangochi, The Makokola Retreat, previously Club Makokola, is a thatched resort built beside a 600m-long golden beach on Lake Malawi's southern shores.offering activities that include sailing, boating and scuba diving on Lake Malawi. Makuzi Beach Lodge offers a remote and private hideaway in a heavenly setting overlooking the breathtaking Lake Malawi. Makuzi Beach Lodge welcomes families with children and offers a wide range of water and land activities. Chintheche Inn is a small, comfortable lodge situated on Lake Malawi offering a variety of activities, as well as, comfortable accommodation ideal for families or small groups of friends traveling together. Mumbo Island Camp is simply magnificent and offers an idyllic setting in Lake Malawi National Park. The focus at Mumbo Island Camp is on non-motorised water activities, which includes snorkelling, scuba diving, kayaking, nature trails and birding. A unique, farm-style building within the working yard of Kande Horse Trails, The Stables Guest House offers 3 beautiful second-storey rooms overlooking the open stables with access to large covered balcony areas. Norman Carr Cottage is situated on the southern lake shore of Lake Malawi, in the beautiful sheltered bay of Namakoma just 15km south of Monkey Bay. An idyllic sandy beach front and pure rest and relaxation. Madzi Kuwala is the ideal lakeside retreat to enjoy with friends and family. Sleeping up to 13 people the villa has been tastefully furnished and, although the property is self catered, there are staff at hand to prepare meals and help tidy up. 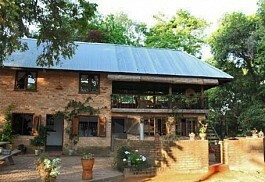 Kumbali Country Lodge is a luxurious property situated in Lilongwe, the largest city in Malawi. The lodge offers modern facilities and a range of activities to enjoy including arts and crafts stalls and engaging with locals in the village. Lake Malawi is a haven for water sports and outdoor enthusiasts. Most lodges offer walking and biking around the island, offering the ideal opportunity to get to know the friendly local people and explore the lively markets. Island picnics are popular and most lodges will pack a picnic lunch for guests. Water activities include swimming and snorkelling and some lodges have their own NAUI accredited instructors, which will take guests through the steps of scuba diving. Other activities include water-skiing, tubing and wake boarding, while fishing trips and sailing appeal to the keen boatmen. 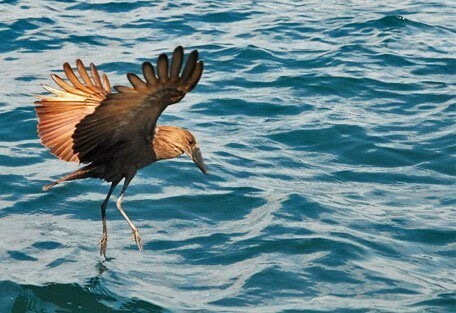 Malawi is known for its indigenous trees and incredible birdlife with over 100 bird species recorded in the park; particularly water birds, including the African fish eagle and large colonies of White-breasted cormorant. Lake Malawi National Park is located in the southern section of the lake and incorporates a number of small islands and land mass. This is where guests will find an 800-year-old baobab tree, as well as a community of baboons. Kaya Mawa Lodge is simply magnificent and one of the most romantic destinations on the planet. It offers beautiful scenery of the beach and Lake Malawi with the addition of incredible sunsets. Mumbo Island Camp is in a prime location on a remote tropical island in Lake Malawi. Mumbo can accommodate a maximum of 14 guests in their thatched-roof tents, which are raised on wooden decks or on the high rocks typical of this island. 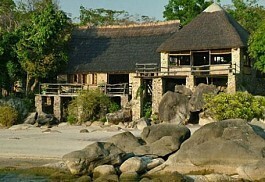 Pumulani Lodge is a luxurious and exclusive beach lodge offering a secluded location on the shores of Lake Malawi. Luxurious accommodation at each villa with large bedrooms, spacious living areas and private decks; personal service and breath-taking views making Pumulani the perfect African beach lodge. Chintheche Inn offers comfortable accommodation overlooking the beach and is the ideal getaway for families. Lake Malawi is vast and stretches across most of the eastern border of the country, dividing it from Mozambique. Guests will fly ot Lilongwe and take a road transfer to their booked accommodation on the lake.